Mount Odin is a mountain in Qikiqtaaluk, Nunavut, Canada. It is located in Auyuittuq National Park along the Akshayuk Pass, 46 km (29 mi) north of Pangnirtung and south of Mount Asgard. Mount Odin is the highest mountain on Baffin Island. Mount Odin is the highest mountain within the Baffin Mountains as well as the fifth-highest in the Arctic Cordillera. 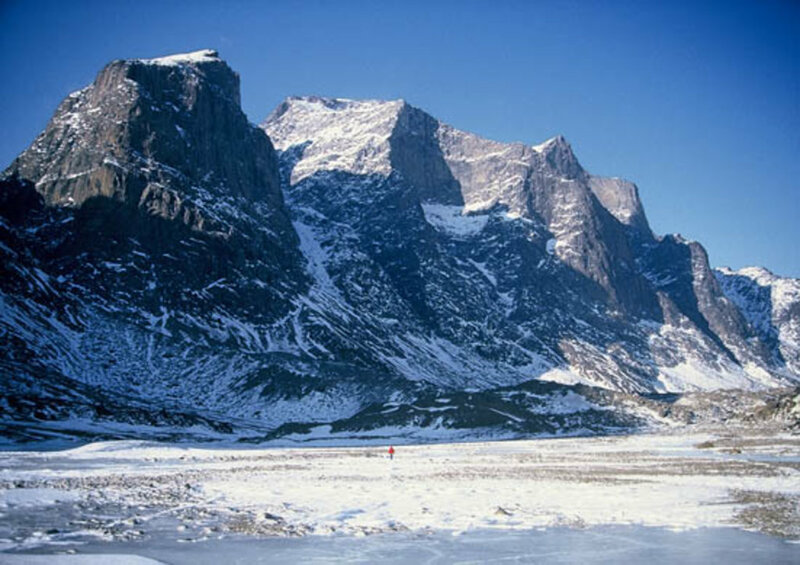 It has a topographic prominence of 2,147 m (7,044 ft), greater than any other mountain within the Baffin Mountains and on Baffin Island, making Odin the third-highest mountain in Nunavut by topographic prominence. Comparing absolute peaks, Mount Odin is the fifth-highest in Nunavut. The higher points in Nunavut are: Barbeau Peak on Ellesmere Island (the highest point in Nunavut at 2,616 m), two unnamed peaks on Ellesmere Island, (one at 2,347 m located at 78° 48' N, 79° 34' W and one at 2,201 m located at 80° 17' N, 75° 05' W) and Outlook Peak on Axel Heiberg Island, which at 2210 m is just 63 m higher than Mount Odin. The mountain is named after Odin, the chief of the gods in Norse mythology and Norse paganism. Do you have photos of Mount Odin or know something about it? Please let us know!